The magnificent eagle lifts Dante, engulfed in flames, out of Inferno. It all happened in Dante’s dream. 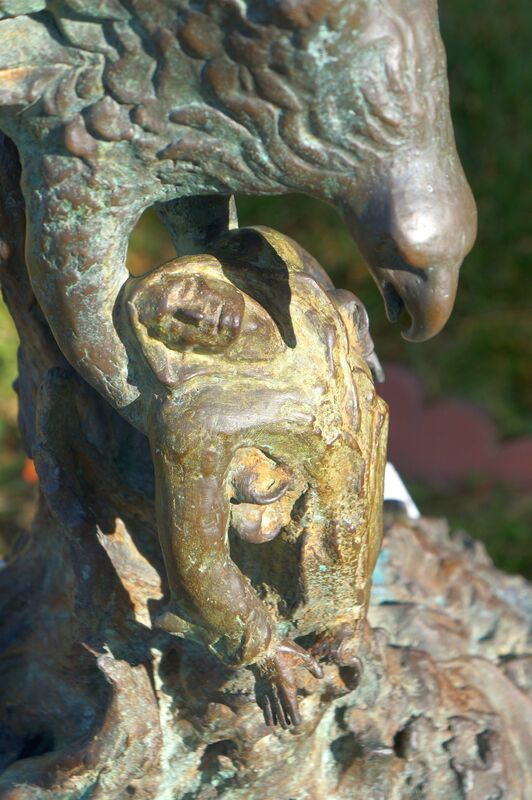 But this bronze sculpture is real and could well become the anchor of a “Divine Comedy”-themed collection. 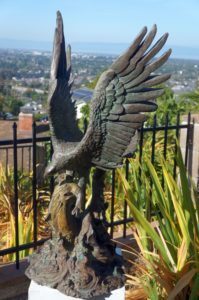 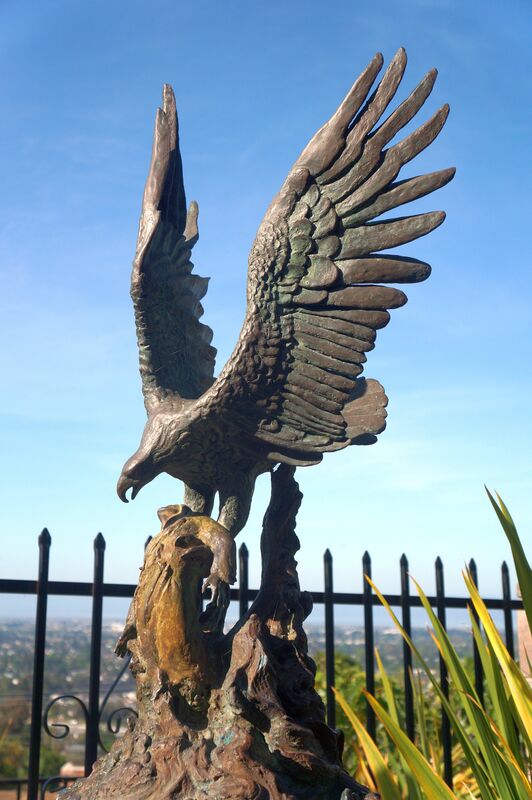 It is one of the best eagles available in bronze anywhere. 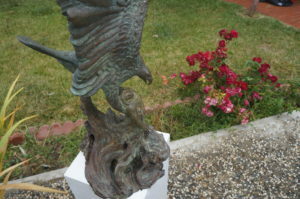 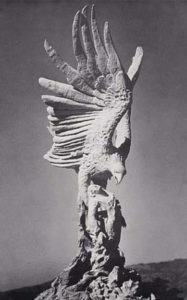 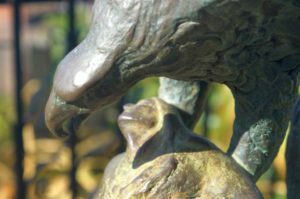 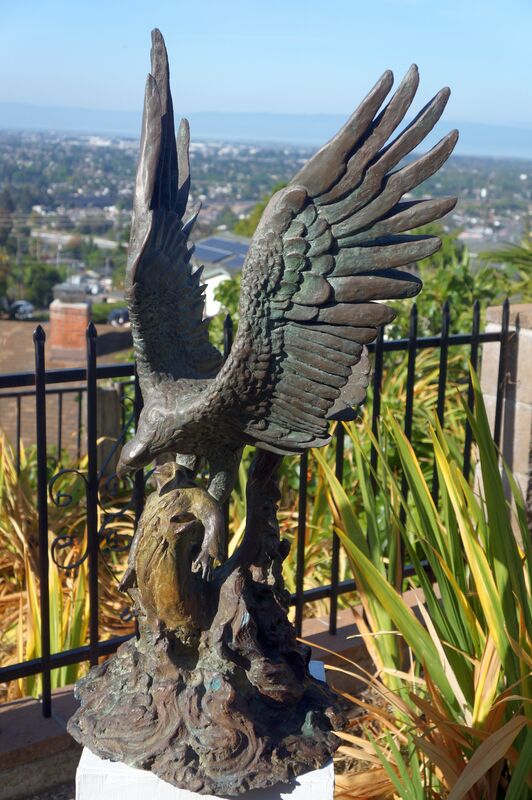 Dante’s Dream of the Golden Eagle, 1980, bronze, natural patina, 35″ tall by 18″ wide by 18″ deep. 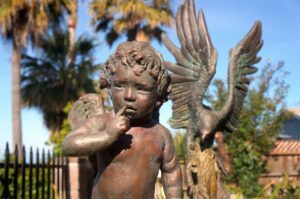 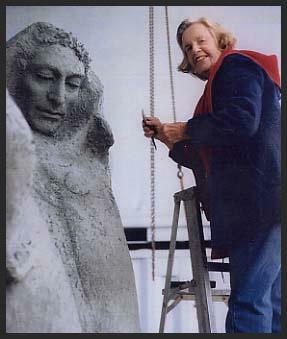 Ask: can be commissioned to be cast again in bronze.